Happy Friday ladies!! I love a bit of mail and recently I received 2 lovely packages and it's about time I shared the package love!! 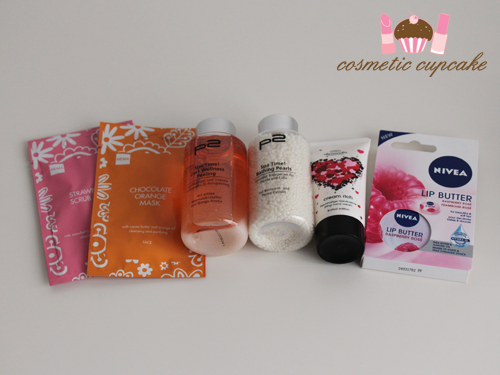 First up is some lovely beauty items from Christine from starry eyed beauty*! Maybelline Baby lips Electro lip balms in Pink Shock and Strike a Rose. 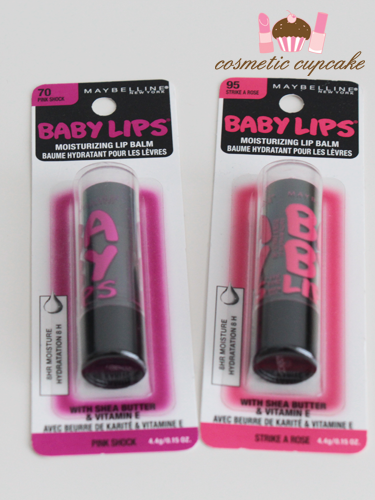 The Baby Lips range is pretty awesome and these aren't available in Aus yet! 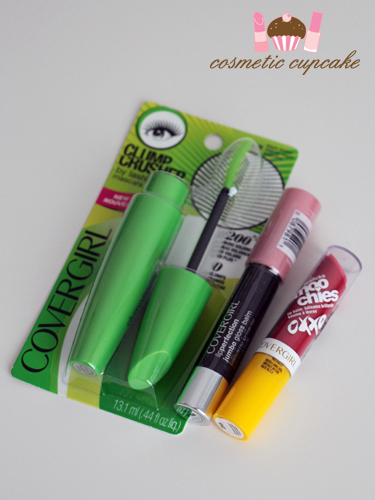 Some Covergirl goodies!! The Clump Crusher mascara, Lip Perfection Jumbo Gloss balm in Ballet Twist and Smoochies lip balm in Sweet Tweet. Very cute Bath and Body Works products!! I love hand sanitiser (haha!) and these tiny scented ones are so cute and smell amazing! 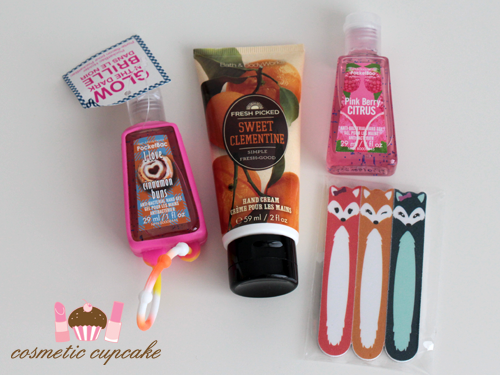 The Sweet Clementine hand cream smells amazing too. 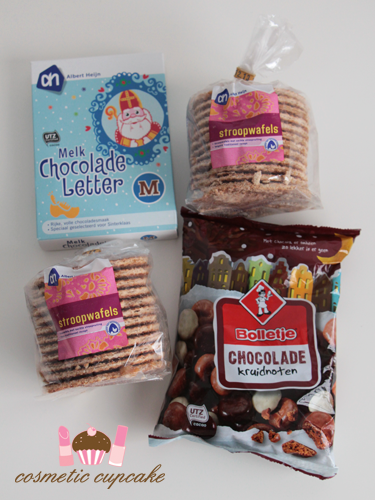 The second package is a swap with lovely Marte from Girly Addictions!! I swapped with her last year and she asked if I'd like to swap again and of course I said yes! I loved our last swap so I was super excited. 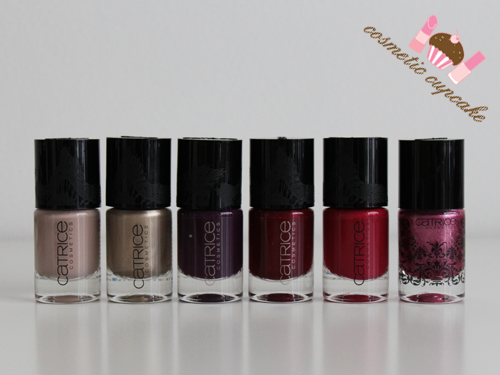 Marte sent me the beautiful new Catrice Thrilling me softly polish collection!! How pretty are they? Perfect shades for Autumn/Winter. 4 amazing p2 Sand Style polishes. When textured polishes first came out I was NOT a fan at all of the finish but I'm loving them now!! Especially ones with glitter through them like the gorgeous pink. Calvin Klein Splendid Color polishes! I've never tried CK polishes actually so thank you Marte for expanding my brand selection in my stash! 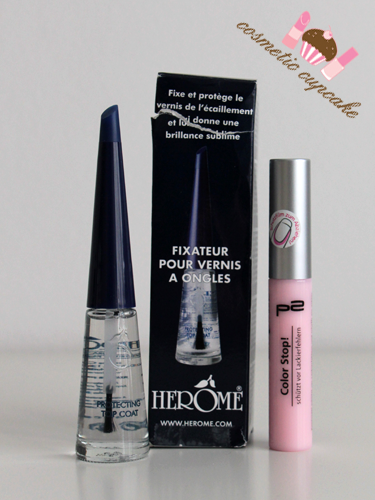 I love trying new top coats so I'm excited to try this Herome top coat. How funky is the bottle! Also the p2 Color-Stop fluid which reminds me of Liquid Palisade. I think it would make sponged ombre manis and stamping with black much easier! 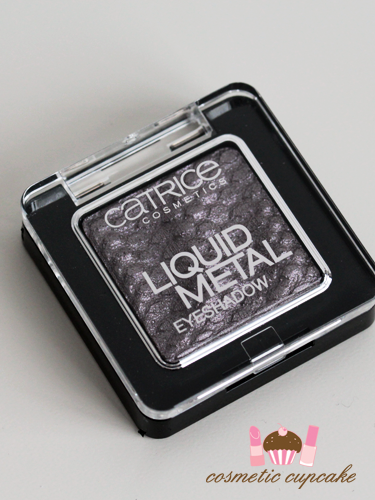 How stunning does this Catrice Liquid eyeshadow in Mauves Like Jagger look?!! I don't have any gunmetal shades like this is too pretty to use I think haha. Some face and body products!! 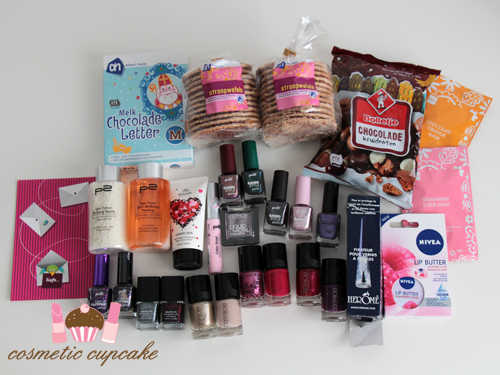 Thank you so much Christine and Marte for spoiling me with these amazing gifts!!!! Wow! So many amazing things! 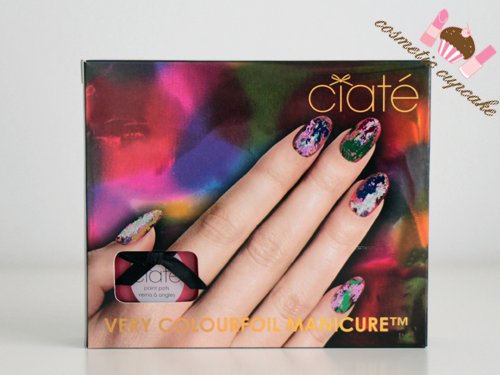 That Ciate nail kit looks so cool too! Ooh, they all look lovely!! A lot of things, actually! I would like to see more make up posts, would you mind showing us? any time sweetie, thankmyou so much for my amazing new goodies! !